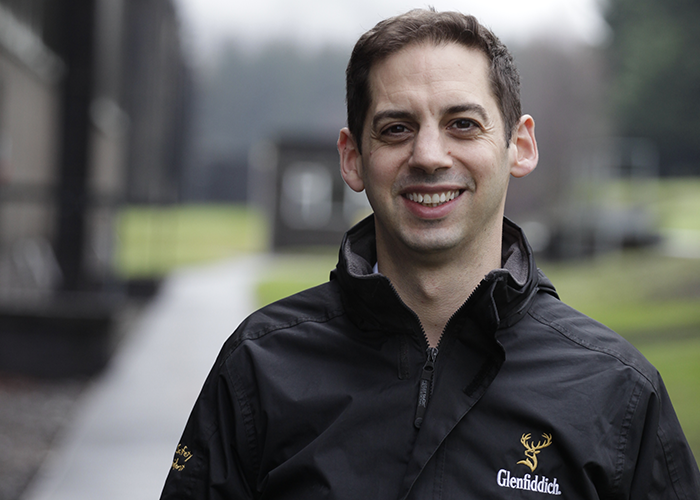 Our Managing Director Karen Stewart caught up with Angus Holmes, Spirit Supply Area Leader at William Grant & Sons Distillers Ltd, to find out about the growing business and current opportunities at the Dufftown site. Angus, what’s your background and how did you end up here at William Grant & Sons? I graduated with a degree in Brewing and Distilling from Heriot-Watt several years ago, and at the time there were no roles within either brewing or distilling in Scotland, so I moved to Suffolk in East Anglia to make malt and malt extract for the food, brewing and distilling industries. I realised my heart was in the brewing and distilling industries, so I left and joined Scottish & Newcastle in Manchester - who then became Heineken - as a team leader in packaging. After spells in kegging, canning and brewing as a shift-based operational team leader, I became Brewing Support Manager, and was responsible for the day-to-day operation of the brewing department. This led to me being approached to become Head Brewer of a regional brewery in Liverpool, and I was responsible for brewing, quality, engineering and cask production. It had always been my ambition to be a head brewer of a brewery, so it was difficult to turn down. After a couple of years commuting to Liverpool I was approached to be General Manager of Chase distillery in Herefordshire, the first of the recent revolution in craft distilling. 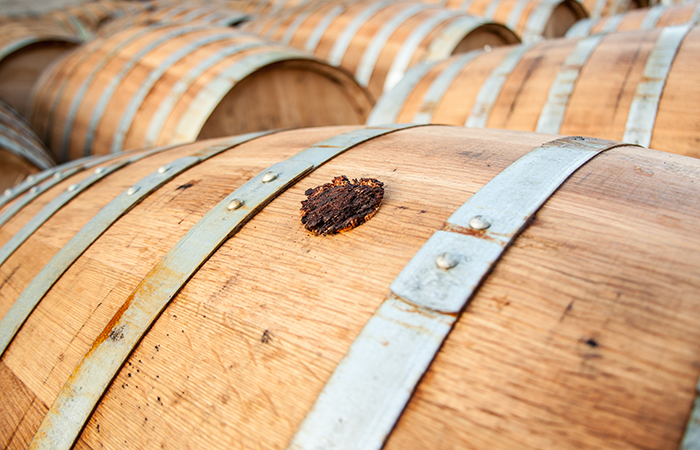 This role covered the whole supply chain, right from potato or apple through to the export of gin, vodka and whisky. An opportunity arose for me to move back to Manchester and work on the expansion and build of the UK’s largest brewery for Heineken, building one of the most technologically advanced breweries in the world. I led the operational side of the project for several years, from conceptual design through to commissioning on a project that covered raw materials through to packaging, and involved re-automating a brewery from a 1980s platform to a 21st century AI-led brewery. It’s a slightly convoluted story, but after 11 years off and on in Manchester, Scotland came calling - for a better lifestyle but also to work in an industry creating a truly premium product; Scotch whisky. Joining William Grant & Sons in April 2016 has allowed me to live the lifestyle I’ve always wanted, with world-class mountain biking, skiing, surfing and kayaking within 30 minutes of my house, as well as all the city benefits of M&S food, Tesco delivery and two airports within an hour’s drive of my house. 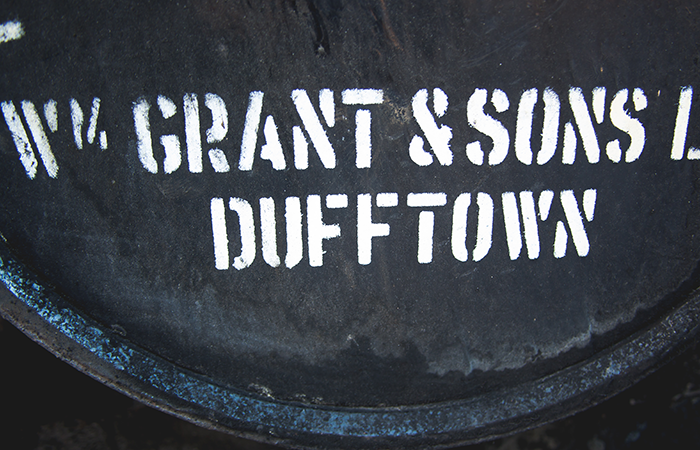 Can you tell us more about the Dufftown site, its functions and its culture? 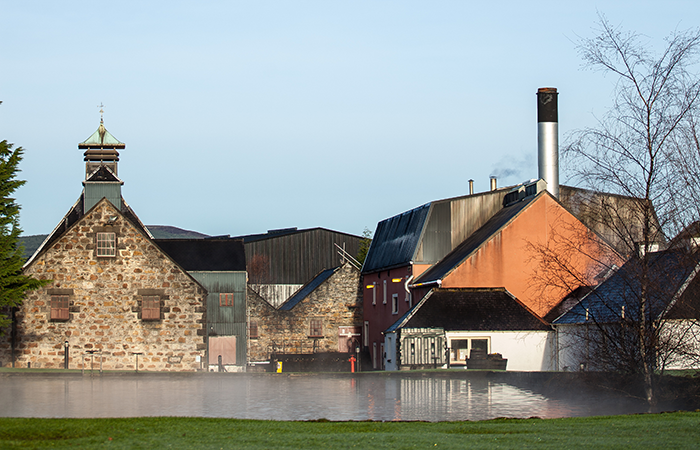 The Dufftown site is truly unique - it’s where William Grant began the business by distilling Glenfiddich on Christmas Day 1887, and the site has grown continually ever since. 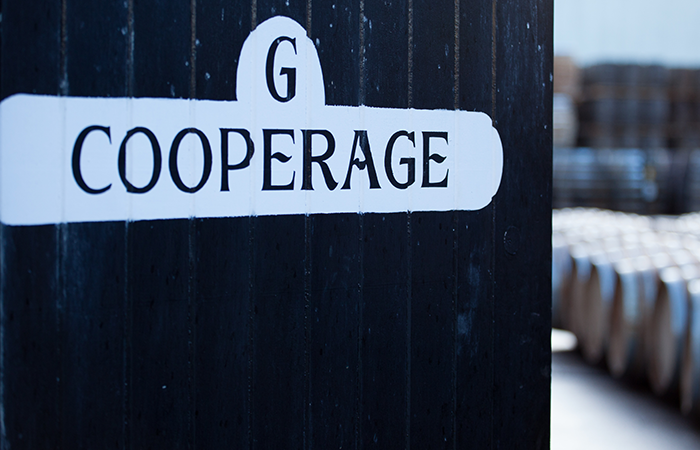 We’re the largest malt distilling site in the world, with three distilleries – Glenfiddich, Balvenie and Kininvie, plus two visitor centres, a bottling operation, maintenance and engineering function, cooperage, a filling store and 44 warehouses on the site as well as being the global registered head office of William Grant and Sons. The site employs around 230 full-time staff, with additional seasonal teams joining bottling and the visitor centres. Traditionally the site employed people from the local area and whilst this tradition has been maintained, as the site has grown it has attracted more people - including myself - who want to live in this part of Scotland. Over the last three years the senior team on site has changed completely with people from diverse backgrounds – distilling, brewing, RAF, oil and gas - now making up the team. The culture is very much tradition married with continuous improvement. We need to be true to the roots that have made William Grant and Sons who we are with a desire to hold our traditions, but also be very entrepreneurial in looking at our opportunities across the site. The new senior team are very aligned to this view and we will continue to build on our reputation as the number one distilling site in the industry. What opportunities are there on the site? Currently we have opportunities on-site for team leaders in spirit supply, process team members as well as opportunities in Q1 2018 for coopers, cooper apprentices and planners. We are looking to recruit people who want to join our company and help the growth and drive for improvement across the site. We invest in our team to maximise their potential in their current roles through technical distilling qualifications and academic support. We also have the aim of recruiting 50% of our roles internally so there are plenty of opportunities for internal career progression. What type of people will thrive here? People who like to challenge the status quo, who want to improve our processes and procedures, and who want to keep our reputation as the most awarded whisky in the world. 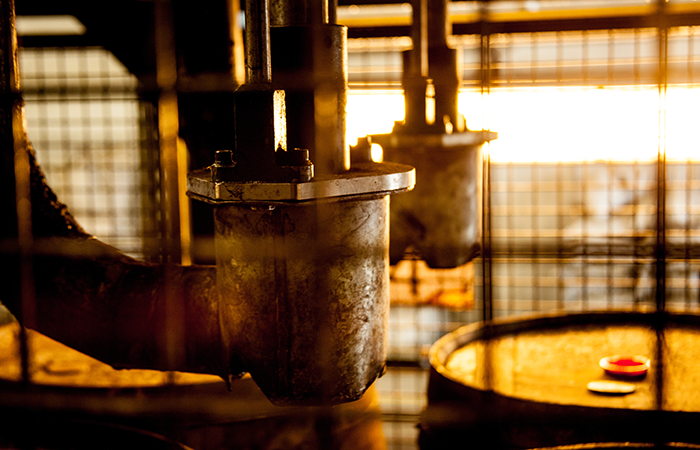 As an operational site, the quality of our spirit is paramount. The Dufftown location often means people have to relocate, can you tell us more about the local area? Dufftown itself has a population of several thousand with a supermarket, several independent shops, several restaurant and pubs, a hospital, primary school and six distilleries. The local villages of Craigellachie, Aberlour and Rothes are all within 5 minutes’ drive of the site and offer shops, supermarkets pubs and bars ranging from the local up to 5star – dependent on tastes. Whisky is at the heart of a local businesses in Speyside and in the summer hundreds of thousands of tourists visit the area. Elgin is 20 minutes’ drive from the site and has all the amenities of a small city with both Inverness and Aberdeen an hour’s drive away. For those who like the outdoors there is fishing on the Spey, Surfing in the Moray Coast and mountain biking and skiing both within a 30-minute drive. Are you interested in working with William Grant & Sons? Contact Karen Stewart on 0141 231 1260 or at kstewart@weareninetwenty.com for a confidential discussion.